It was a bit of a mean one, since it had no scale bar and the specimen is quite old and dried out, so it doesn’t look much like the living animal. I had hoped that this would mean that nobody would manage to identify it, but I wasn’t at all surprised when correct suggestions started coming in. Dave Hone was the first to get the correct kind of animal, although he was a bit thrown by the outer surface – vannabarber was also on the right track, but thrown by the texture. In fact the texture led to some interesting suggestions, including pumice, fossil, bezoar and Pompeian pinecone. In the end, henstridgesj made the right connection and identified the species, with Anna Pike, rachel and Crispin Wiles all coming to the same conclusion. 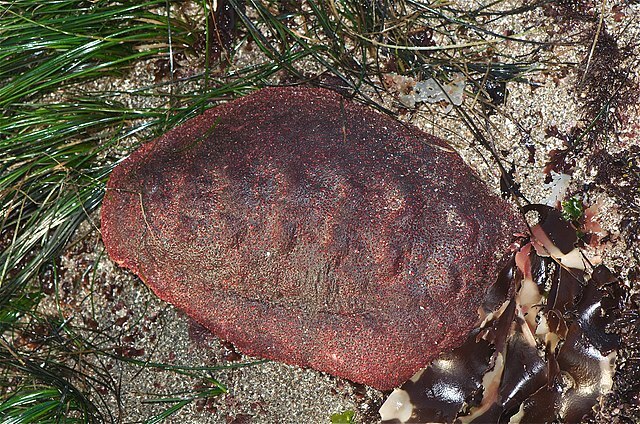 This is the dried and shrivelled remnant of a Gumboot (or Giant Western Fiery) Chiton Cryptochiton stelleri (Middendorff, 1847). Also known as the ‘Wandering Meatloaf’ for obvious reasons! 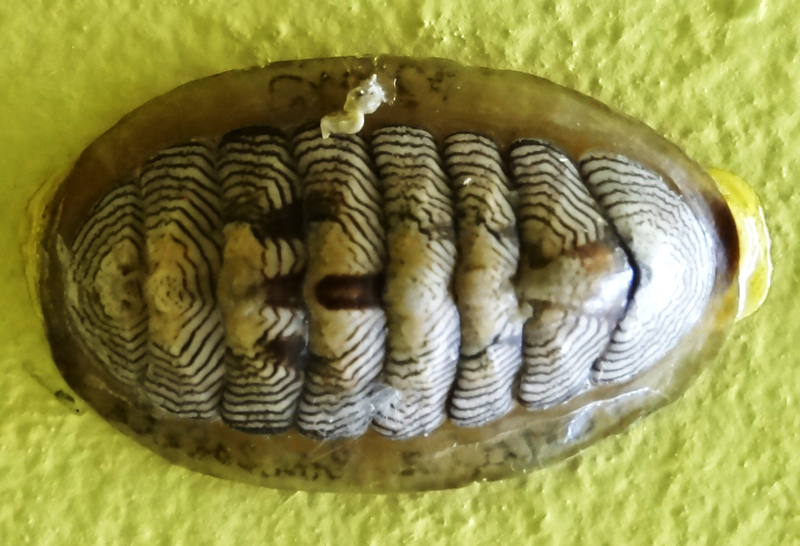 Chitons are an ancient class of mollusc called the Polyplacophora – a name that means “bearing many (or several) tablets (or plates)”. They get this name from the eight plates (also known as valves) that they have on their backs. 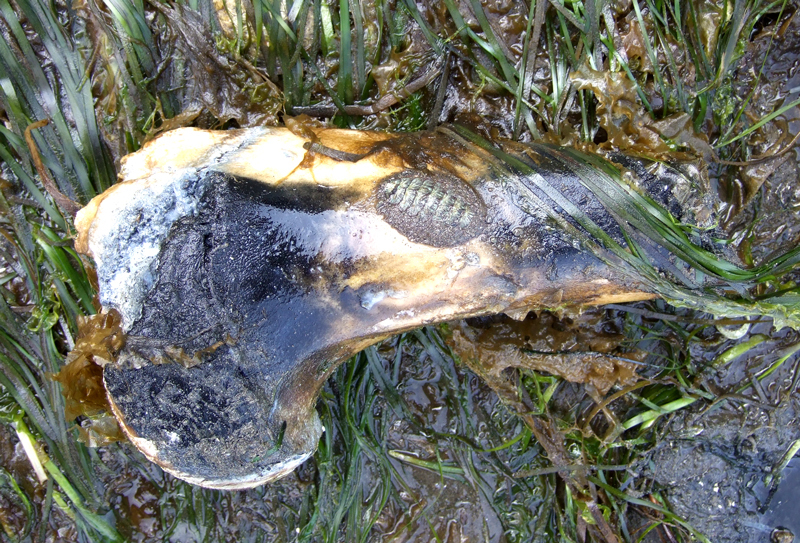 Most chitons have these valves visible (see below), but the huge Gumboot Chiton has the valves hidden underneath their rubbery girdle. 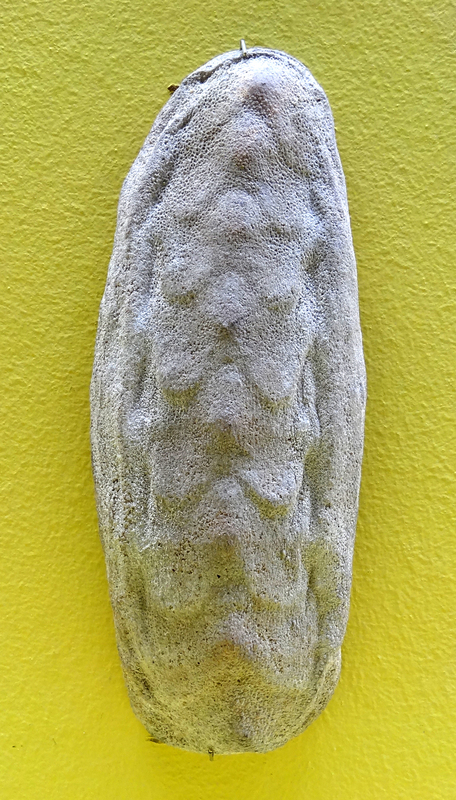 Chitons are remarkably conservative animals, having changed little since the group arose around half a billion years ago. They have few predators and manage to live a blameless and slow-paced life feeding on algae and detritus on rocks in the world’s oceans, that they rasp off with a fairly simple rasping radula. There are few ways of spending time on the sea shore that are more enjoyable than turning over rocks in the quest for chitons. Except maybe finding washed-up bones. Or maybe finding both together! Exactly what i guessed, but neglected to post. I like the longer time up so if I do’nt have time to get it by Monday, I have plenty of time to work it out and check other comments. Thanks for keeping it up!